The SimpoSign® II is a lightweight counterpart to the Signicade and Signicade deluxe. The minimal hardware is designed for ultimate portability. The SimpoSign II includes a stabilizing bar and a hollow core where sand or water can be added to increase weight. 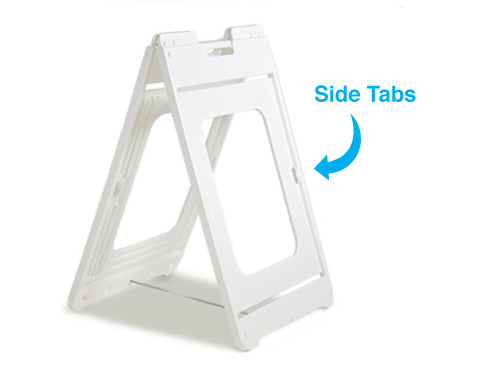 This A-frame is built for quick change graphics, the molded plastic sandwich board has two recessed 22x28 inch graphic areas on the front and back. Our graphics are full-color UV Direct Printed Coroplast for a long-lasting durable matte print.